Were Wade Robson and James Safechuck paid for Michael Jackson documentary Leaving Neverland and how has the Jackson estate reacted? What is Hayvenhurst, who lived there and where is Michael Jackson’s ranch Neverland? 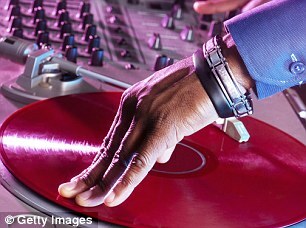 A partner at the Paris office of City lawyers Freshfields is accused of assaulting a DJ who performed at one of the Magic Circle firm’s functions last autumn. According to a complaint filed in Paris’s High Court, Herve Pisani, the managing partner, approached the DJ in a drunken state and ‘violently slapped him’ when he refused to change the music. The unnamed DJ immediately stopped playing and announced he would be issuing a complaint. Prissy bunch disc jockeys, aren’t they? The Premier League, which is struggling to find a replacement for executive chairman Richard Scudamore, may not have much luck finding one in America where it is now focusing its attention. The money on offer – Scudamore trousered £2.5million – is peanuts compared to American sports chiefs. David Stern, commissioner of the National Basketball Association (NBA), is paid £15million a year. His counterpart at the National Football League (NFL), Roger Goodell, is thought to receive more than £25million. Ex-UBS investment chief Andrea Orcel’s aborted move to become chief executive of Banco Santander, because of disagreements over his pay, was doomed from the very start. According to the Financial Times, Orcel was warned by his new employers not to make his usual pilgrimage to the World Economic Forum in the Swiss resort of Davos. Apparently, hoity-toity executive chairman Ana Botin likes to be the sole executive representing the bank at the event. How ludicrously haughty. Perhaps stylish Andrea is better off out of it. Hedge-fund billionaire Steve Cohen has cut the asking price on his Manhattan apartment by 60 per cent. Cohen first put the vast, 9,000-square-foot Upper East Side duplex on the market in 2013 for $115million, but says he will now accept just $65million. Local property tax charges alone on the building are £137,000 a year. No wonder the big boiled egg’s so keen to get rid. From last week’s Indaba, Cape Town’s annual mining conference attended by politicians and energy bigwigs: Which over-amorous titan is known disparagingly across the industry as ‘the Harvey Weinstein of mining’? © 2012 The Amed Post. All rights reserved.